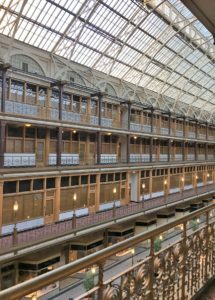 The city of Cleveland has such a charming array of historic buildings throughout its’ downtown streets and the Hyatt Regency at The Arcade adds to the historic character that Cleveland boasts. 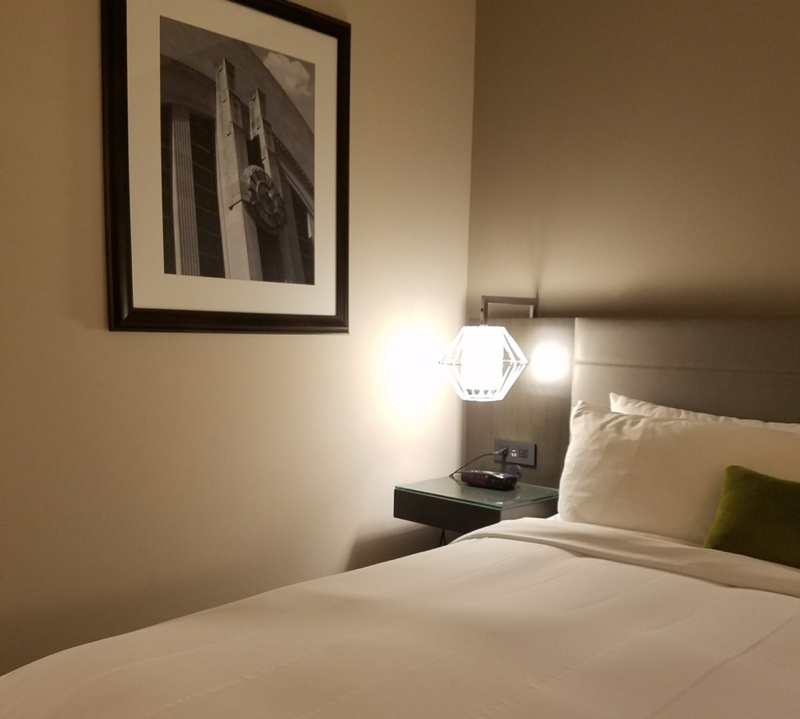 The Hyatt Regency is nestled between the main thoroughfare that is Superior Avenue and the bustling Euclid Ave. & East 4th Street corridor. I pulled up to the Superior Ave. valet entrance and was quickly on my way to the second floor which is where the front desk and lobby is located. This hotel is a charmer! 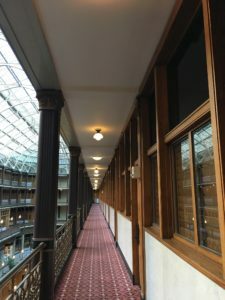 Think of an atrium reminiscent of The Titanic with a roof like a greenhouse allowing natural light to pour in through glass tiles and beam off of ornate metal working throughout the floors. 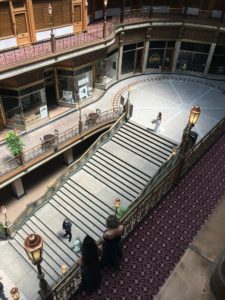 Identified as one of the earliest known indoor shopping malls in the United States, there are still active shops, a spa, a lovely coffee shop called Rising Star Coffee Roasters (which I found myself at 3 mornings in a row!). Being inside the Hyatt Regency at The Arcade felt more like being in its’ own little time capsule of a city than a hotel. 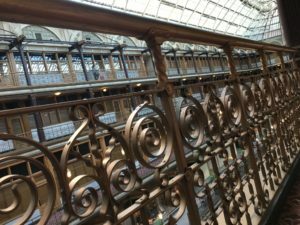 As I walked to my guestroom I enjoyed seeing the ornate railings, stairways, and light fixtures. The walk to your guestroom is an experience as you are not walking down an enclosed hallway, but it is completely open to the main atrium. On one side the guest rooms line the wall and on the other a view of the atrium. Large drum shade light fixtures hang in both the living area and above the beds. 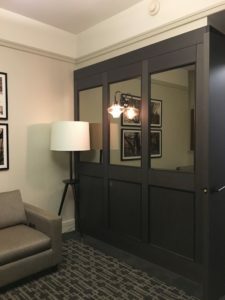 The wall separating the spaces featured a mirror and wood accents and the door knobs were ornate black metal. The room has a modern vibe while paying homage to its’ historic roots. At night, the atrium transforms. The lights of the shops go down while the strung lights and tall lamps light your path along the open hallways. It is romantic and soothing with the soft light glistening off the elaborate gold and brass décor. A wedding of a childhood friend is what brought us to the Hyatt Regency. 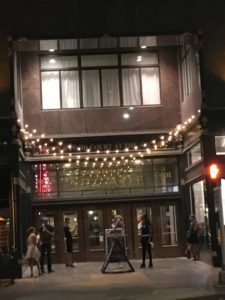 What is interesting from an event perspective is that the wedding physically took place on the first floor of The Arcade lined by the closed shops. 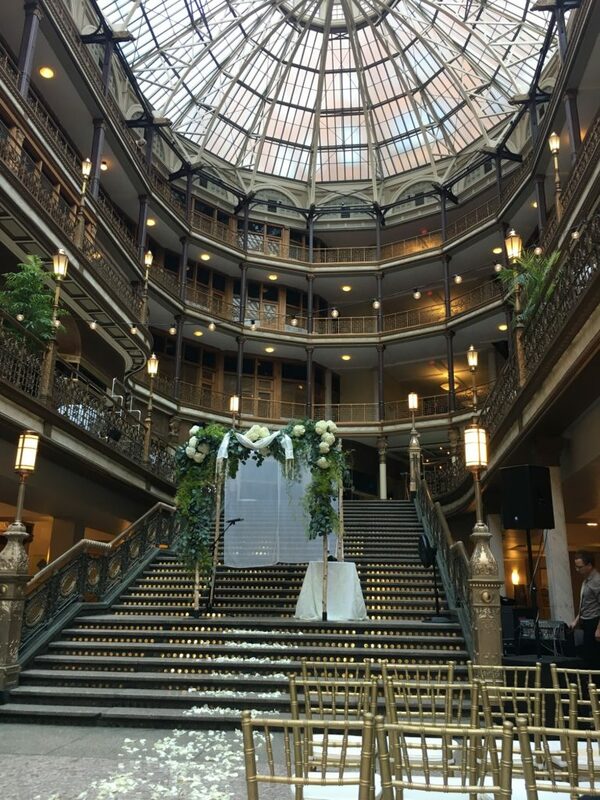 On each end of The Arcade are beautiful staircases, both were used for the wedding: one is where the ceremony took place on the staircase with guests seated on the first floor and the other was used for a “first look”. We made our way to the second floor for cocktail hour, then back to the first for the reception. 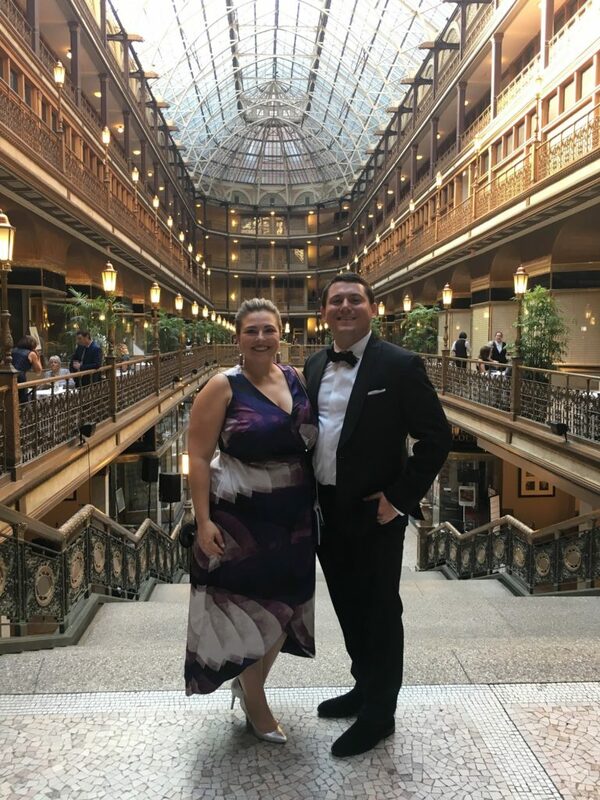 It was a stunning wedding full of love, dancing, and GREAT food! 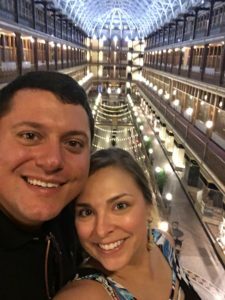 After the wedding, guests made their way to East 4th Street which is lined with cool restaurants, bars, and a bowling alley. This hotel has it all inside its’ doors and and within steps outside.